Boots is a high street chain of health and beauty shops. Many stores also include optician and hearing care services. The business dates back to 1849 and has become one of the biggest retailers in the UK as well as Ireland. 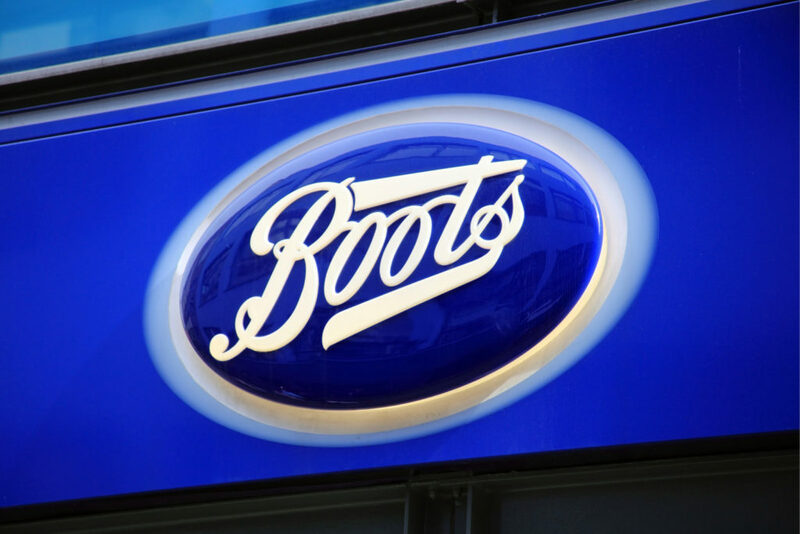 Boots operates around 2,500 stores, some of which are stand-alone pharmacies or opticians. The Boots Advantage Card is part of a customer loyalty scheme which has been running since 1997. Frequent shoppers can use this Boots loyalty card to collect points and redeem them against purchases. Available items at Boots include cosmetics, medicines, baby clothing, food and drink, and photography services. Boots Advantage Card points will be redeemable against most of these products. But what if you have lost your Boots store card? Here is what to do. Try not to panic if you notice that your Boots Advantage Card is missing. Sorting it out is as simple as contacting Boots. First of all, have a look for your card to make sure that it is definitely gone. Contact a store if you might have left it there to check whether or not someone found it. Once you are sure that your Boots card is lost or stolen, you should order a replacement. To do this, simply go to the Boots website and log into your account. 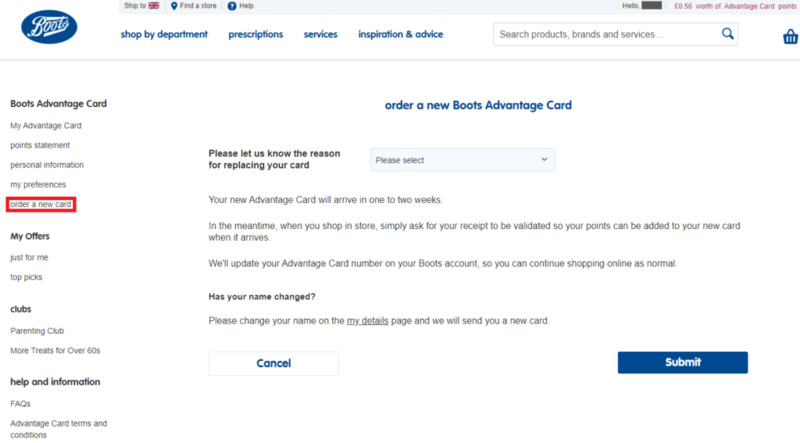 In your account, you will see the Boots Advantage Card section in the list on the left side. Click on “my Advantage Card” to go there. In the Boots Advantage Card section of your account, you can see your points balance and offers. Now you will also see the option to “order a new card” on the left. Click on this link to go to the replacement card order form. Select the reason that you need a replacement from the drop-down menu. The options are that your card is either lost, damaged, or stolen. This means that you can also order a new card if your card isn’t actually missing, but you are not able to use it because it is damaged. You need to specify whether you lost your card or somebody stole it. This is because they only have to send you a new card in the post if it is lost or damaged. However, if someone purposely took it, they might be able to use it fraudulently. Boots will need to cancel the card and update your account with a new card number. They will also send you a new physical card, which can take up to 2 weeks to arrive in the post. Contact Boots if you do not receive the replacement card after this time to find out where it is. Your primary concern when you lose your Boots Advantage Card will be your points. It will seem as if you have also lost all of the points you have been collecting over time. This would mean that you also lost the savings as well as the offers which these would have afforded you. However, if you report your card lost or stolen, then Boots will be able to update your account for you. They will transfer your old points balance onto your new card, so you shouldn’t lose any of them. In the meantime, you will still be able to collect points whenever you shop in stores if you ask the cashier to validate your receipt. You can place online orders and collect points as usual, because Boots will update the card number in your online account. Each person can only have one Boots Advantage Card, so they will merge the old and new points into the same balance. Remember that you can only use your personalized offers in stores. If you are unable to request a replacement card through the Boots website or app, then you can always do so over the phone. Call Boots on 0844 249 2294 and hold through the initial pre-recorded messages. Then press 3 for the Boots Advantage Card department. You can speak the reason for contacting Boots as “lost card” or just press 3. Or simply wait and then press 0 to speak to an adviser. This will connect you to the next available adviser at Boots so that they can provide assistance. You can explain the situation and order your replacement Advantage Card. It will make the process faster if you remember your Advantage Card number. If not, you will have to provide some details to prove that you are the account holder. You can confirm your points balance and recent transactions. Call back if there is a problem, such as not receiving the card in the post or only some of your points transferring to your new card. Make sure that they update your account correctly and provide a new Boots Advantage Card for you to use.